Felix Goodson has a passion for producing parties, large-scale events and organizing fun. 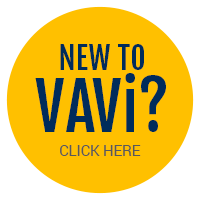 At VAVi he is taking that passion for events and using it to maximize the customer experience for every sports program we offer. Of course he still has a hand in our social events as well. Ducote is a native San Diegan who started at VAVi as an intern in 2011 and has spent his time in multiple departments through both VAVi and ROC Race. Wearing multiple hats has given him the know how to excel in his role. Outside of VAVi you can find Ducote spending time at the gym with his girlfriend or going on hikes with his dog. Nicky moved to San Diego from England in 2015 and started at VAVi as a Sponsorship Intern. By teaching herself how to code and design, she earned a position as Marketing Coordinator. She also plays a large role in the company’s corporate wellness program and event operations. Nicky’s favo[u]rite sports team is Manchester City. Daniel was born in Hawaii, raised in Colorado and has spent more than 10 years having a blast living the dream in sunny San Diego. Monday through Friday you can find Daniel out at the fields or buying drinks for VAVi players. He is all about bringing friends together, building strong relationships and making sure people have a great time. Adam is a recent San Diego transplant originally from Boston, MA. Before moving to the west coast, Adam studied at Indiana University where he worked primarily for the IU Athletics Department. Being a Boston kid, he is a big supporter of the Red Sox, Celtics, and Patriots. In his free time, he loves to play basketball or catch a Padres game at PETCO park.